Exeltis Turkey, who starts off from the slogan “We see knowledge as a key factor to execute our commitment to human health and welfare” and who lives on a quality and innovation oriented, strong R&D culture, has been developing licensed and eligible goods in the areas of vaginitis, dermatology, topical ache, oral contraceptive, and respiration. 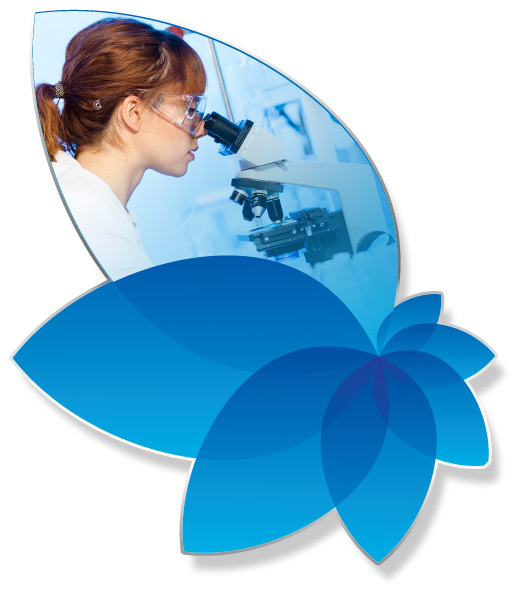 In the duration from Phase 1 studies to the approval, the Research and Development activities of Exeltis Turkey are undertaken in a specialized way with the potential of CHEMO Group and the potential provided by our worldwide associations and the corporate research centre Ladee Pharma Research Institute (LPRI). Exeltis Turkey is composed of patent lawyers experienced in R&D, pharmacists that have academic competence, pharmaceutical technologists, chemical engineers, microbiologists, and pharmacologists. Research and evaluation of patent, formulation, and analytical method and product development, clinical studies, test and pilot production performed in laboratories, process and analytical method validations, product recovery works, stability of new products and technology transfer works, preparation works of license files in CDT format are fulfilled with Quality by Design (QbD) mentality and state-of-the-art technology production equipment and within the frame of international codes of conduct and in compliance with the conditions of international Good Laboratory Practice (GLP) and Good Manufacturing Practice (GMP), which are determined by World Health Organization. Exeltis also collaborates with international research and development companies at different phases of projects for developing new product. The value that Exeltis Turkey has got derives from its ability of new Intellectual Property, which is continuously maintained over drug release technologies at niche treatment areas, where it retains its leadership. Patent applications for all the products developed are made in the USA and at international platforms. Alongside possessing a lot of patents certified by both the USA and other countries, Exeltis Turkey has plenty of patents whose applications have been made or preparing to be made as part of Patent Cooperation Treaty (PTC). Some primary technologies developed by Exeltis Turkey that are patented are LPSTM, Lamellar Penetration system and microsponge system. Moreover, there are many TÜBİTAK-TEYDEB supported projects that are currently being conducted at our R&D centre.